It's December. Yesterday, we had some pretty nasty storms roll through here in Atlanta. Today, it's definitely a bit cooler than it had been. Sure, a high of 54 might not seem too cold to someone in Chicago (where I grew up). But it's colder than the 70s it'd been the previous couple days. Staying in and playing some games sounds rather nice. So let's make sure those gaming tables look good. 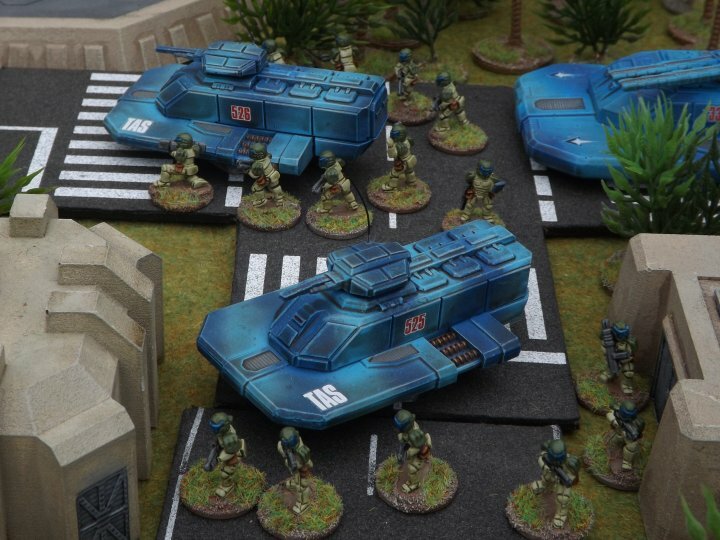 Today in our Terrain Corner we have: New Firefly Airship from Burn In Designs, Heroic Maps - Explorer: Night Camps Now Available, Deep-Cut Studio releases a new Neo-Tokyo game mat, Infinity Scenery: Pwork Wargames gaming Scenery Sets Now Available, and Crossroads gaming mat by Warzone Studio Now Available. In a way, it's Monday, because it's the first day back in the office after the weekend. But it could also be seen as Wednesday, since it's only 3 days from being the weekend again (Woo! Thanksgiving! Woo!). 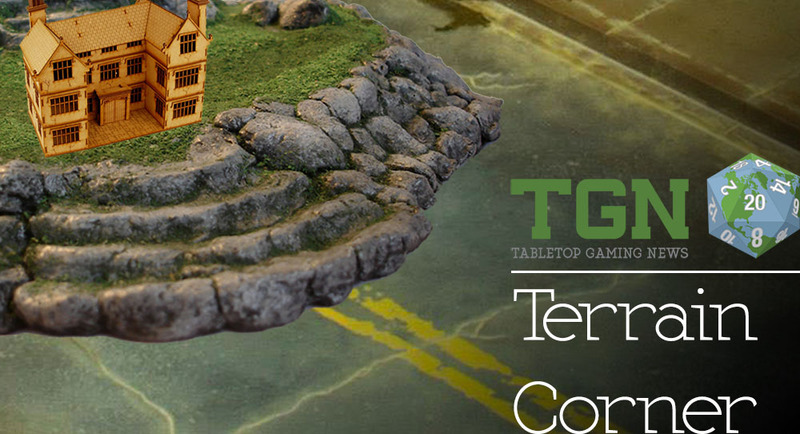 But what makes it once more feel like a Monday is that it's time for a Terrain Corner. 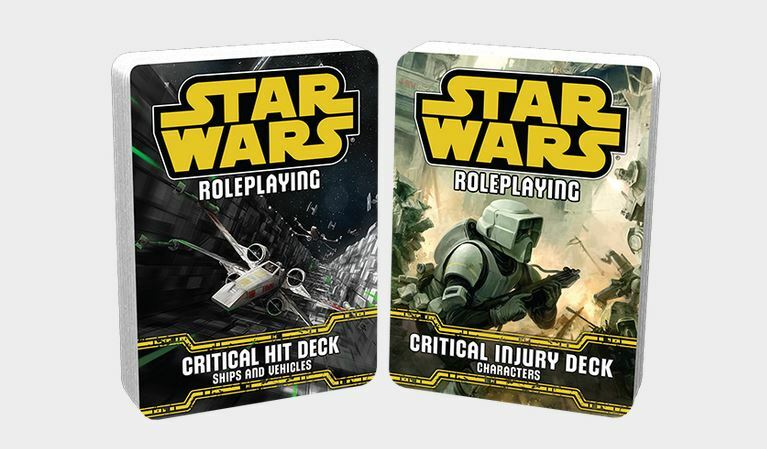 In this Corner we have: New Terrain Kits by Burn In Designs, Goal Post Terrain Up On Kickstarter, Tabletop World released the new Watermill, Tabletop World Holiday Sale Happening Now, StudioLevel Terrain Now Available, and Lifeless Land: Pwork Wargames Sci-Fi Gaming Mat Now Available. Hello there, Thursday. How's things? That's good to hear. You know, it's almost time for the weekend. I know, you feel sad because you're always almost to the weekend, but never there, yourself. That's gotta be rough. But hey, at least you get to help people make their gaming tables look better. That's gotta count for something, right!? Right! Good now, let's get on with it. 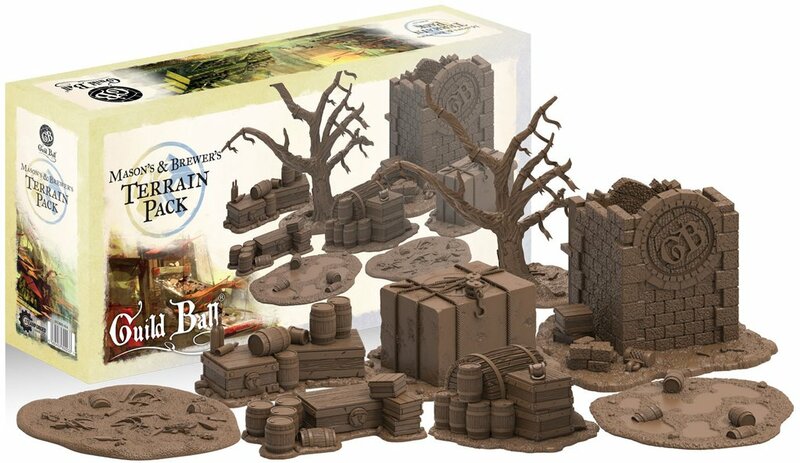 In today's Terrain Corner we have: New Modern Food Trucks and Cargo Vans from Burn In Designs, Final Week for Neo Tyrannis Kickstarter, Nine New Fantasy-Football Playmats Available From Deep-Cut Studio, West Land: Pwork Wargames Fantasy Gaming Mat Now Available, and Wizard Kraft Modular River Terrain Up On Kickstarter. As fast as the week's gone, it's hard to believe it's already Thursday. With the weekend just ahead, I'm watching all my friends checking in to various events that are happening. Mostly, it's people headed downtown here in Atlanta for Dragon*Con. I do hope everyone has a great time at whatever shows, events, or just regular weekend activities they have planned. 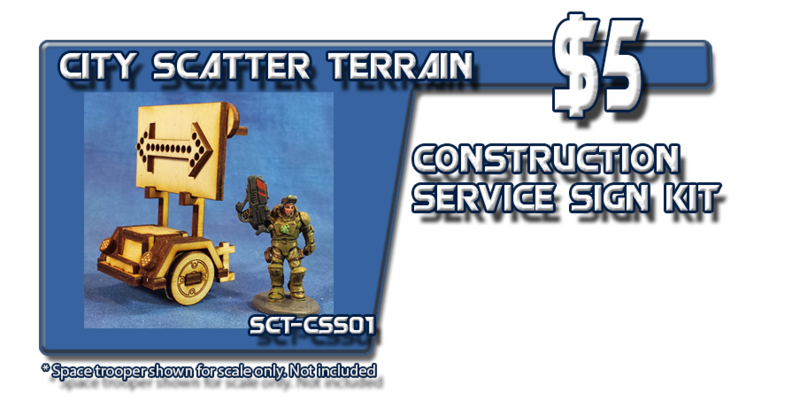 But before we actually get to the weekend, we've still got today's Terrain Corner and tomorrow's Snippets to post. So let's get to the one for today. 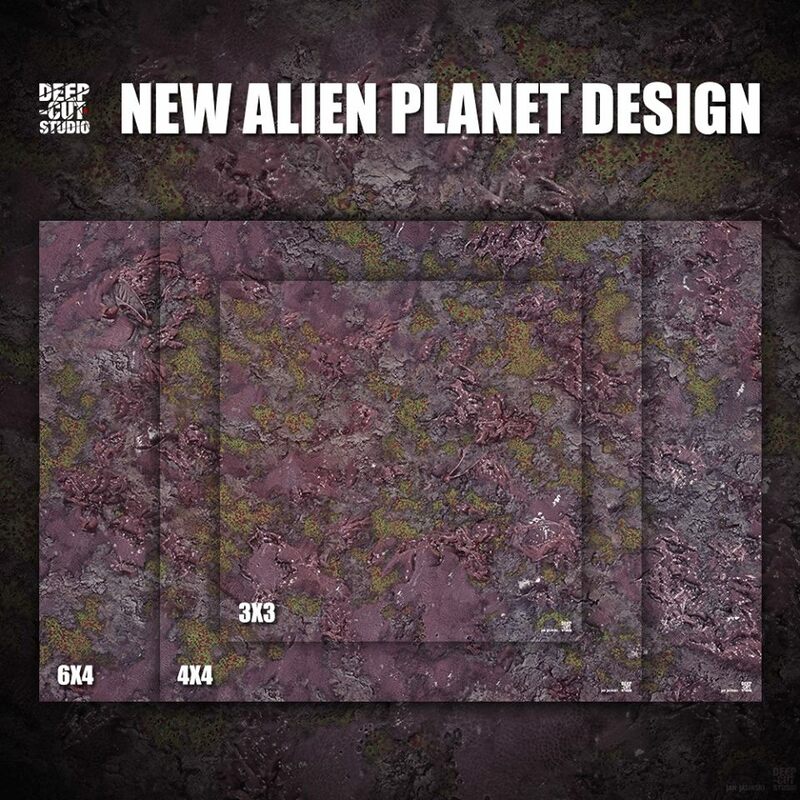 In our Terrain Corner we have: New Construction Site Buildings From Burn In Designs, Maki Games To Launch Modular Underground Project Kickstarter on the 6th, Heroic Maps release The Knight's House & The Ranger's House, Deep Space: Pwork Wargames Sci-Fi Mat Now Available, and New Prairie design game mat from Deep-Cut Studio. We're making our way ever-closer to the weekend. Thursday is upon us and soon it will be Friday. After that it will be Saturday, glorious Saturday. But at the moment, it's still Thursday. 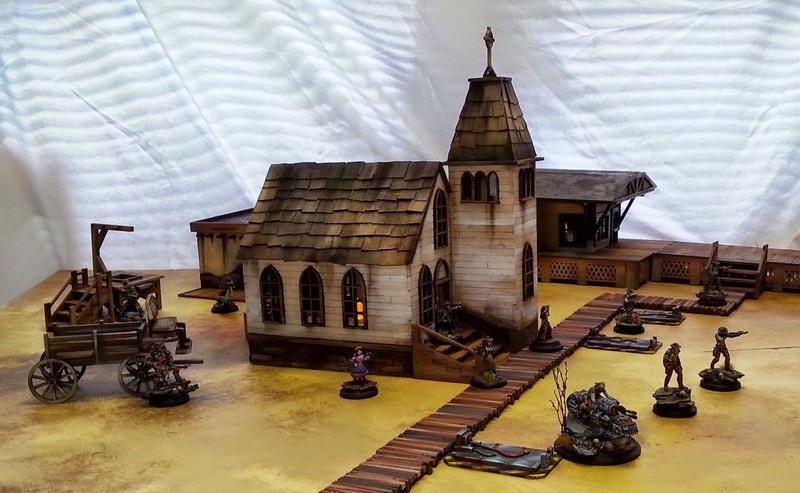 As such, it's time to look once more at some bits to help make your gaming tables look their best. 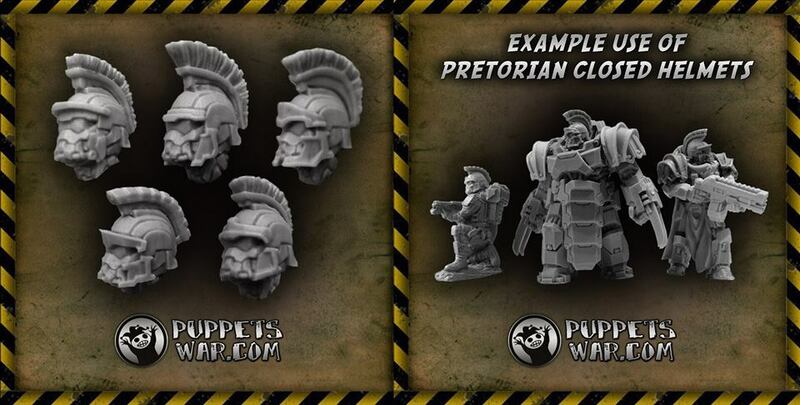 Today's batch of stories includes: New Blacksmith Shop From Burn In Designs, Manorhouse Workshop Update #5 – 3D Bases – Modular Terrain: Skirmish & Wargame, and Free asteroids, scenery, acrylic tokens, or Other With Spartan Games Purchases. Hey everyone. Here's another batch of news snippets for you. Remember, snippets aren't "leftovers" or "scraps" or anything like that. They're news like everything else. They're just... smaller. There's good stuff in here and we want you to know about it. It's just that the story's shorter, but no less important! So what do we have in this round? 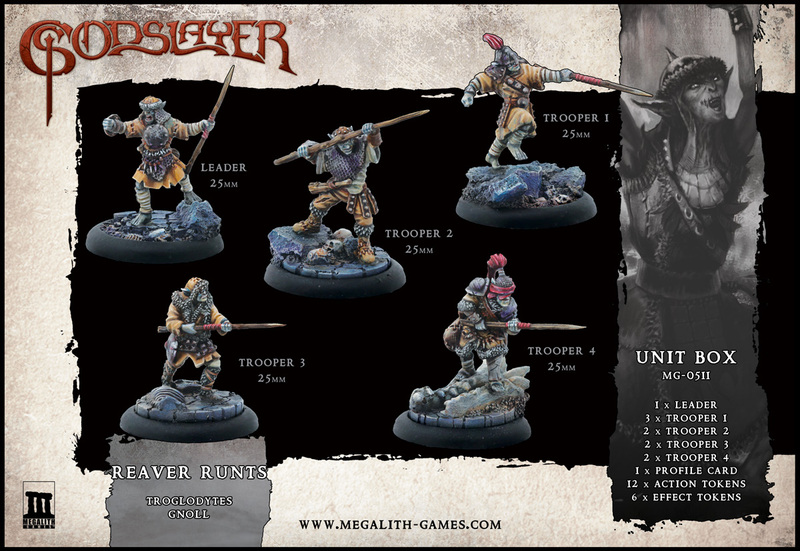 Well, there's a new punk green from Slow Death Games, an announcement from ThunderChild Miniatures about a new Kickstarter, a new release from Hitech Miniatures, a new adventure for Fantasy8s, new Pulp Alley templates from Sally 4th, a notice about the final days of the Rise of the Kage pre-order, some new goblin nurses from Kromlech, a Squadron Strike: Traveller Preview, an announcement about the Death Saves Anthology release, and some new accessories for Robotech from Burn In Designs. 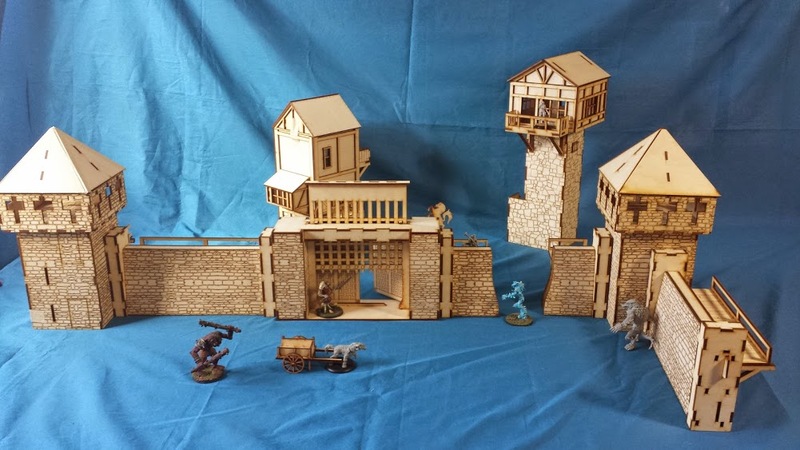 Burn in Designs has posted up their newest terrain sets, Dagger's Reach. There's a whole town you could potentially pick up. 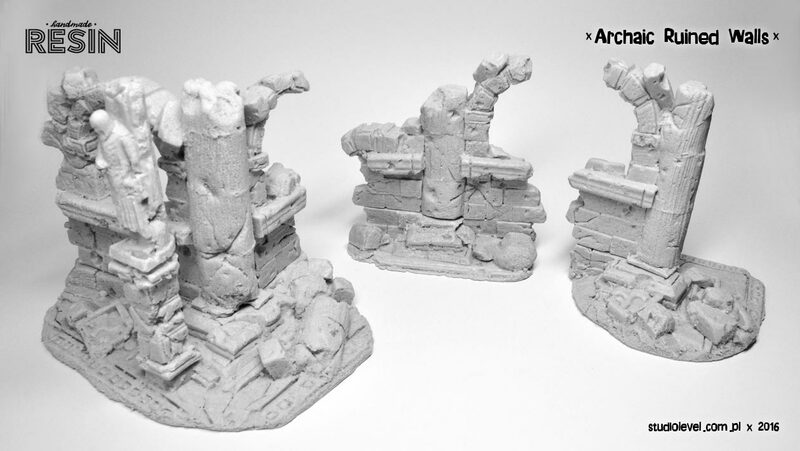 Burn In Design is pleased to announce its latest terrain set, Dagger's Reach. Modeled after the classic Tudor style buildings, this set goes well in both fantasy and steampunk game systems. 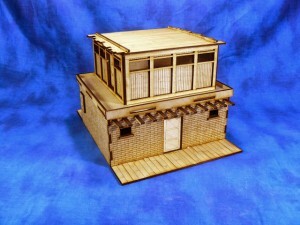 With a large selection of building and both inner and outer wall kits the design and table options are endless. 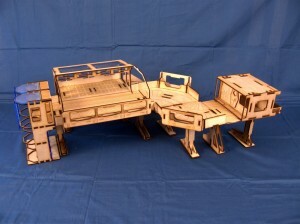 Burn In Designs has a new Quick Kits section for some of their smaller sets. 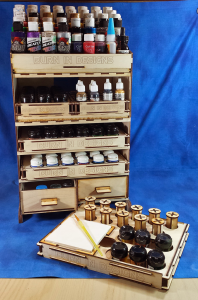 Burn In Designs has just added a new section to their site for smaller, specialty and pre-release kits. New kits will be added to this section on a weekly basis. 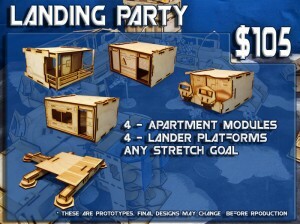 Burn In Designs has added a new pledge level to their The Skyway Project Kickstarter campaign they've dubbed "The Landing Party." When we started this project we thought we covered every possible combination then inspiration struck and we added more kits. Now we have to go back and add more combinations and pledge levels. I present the Landing Party pledge level. 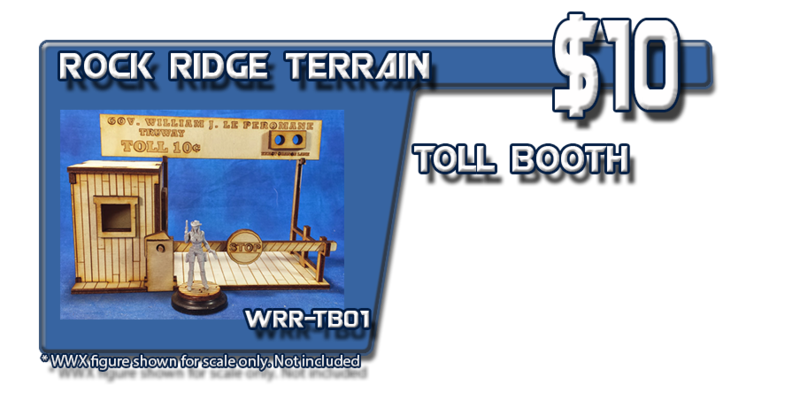 Burn In Designs is up and over their goal for their Skyway terrain project over on Kickstarter. 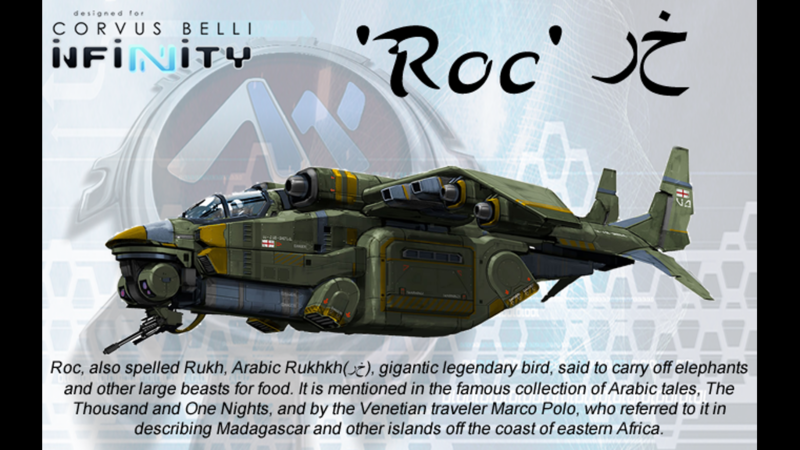 Now, the skyway's not the limit, so it's stretch goals for the next 30 days. The key objectives for the Skyway System were a futuristic modular design, high play ability through movement access, a high level of detail and cinematic appeal. Burn in Designs has launched their Skyway Project Kickstarter campaign. They're already about 3/4 of the way to their goal with still 33 days to go. 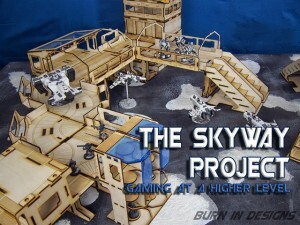 Burn in Designs is counting down until the launch of their Skyways Kickstarter campaign. They've got sample previews up of what you can expect to see. Burn In Designs is continuing their countdown to their Skyway project Kickstarter. They are diving in a little deeper and giving out more information of the project and including a preview Kickstarter link for people to get a better understanding of what the project is all about. Burn In Designs is showing off a teaser image of their upcoming Kickstarter campaign they'll be running soon. 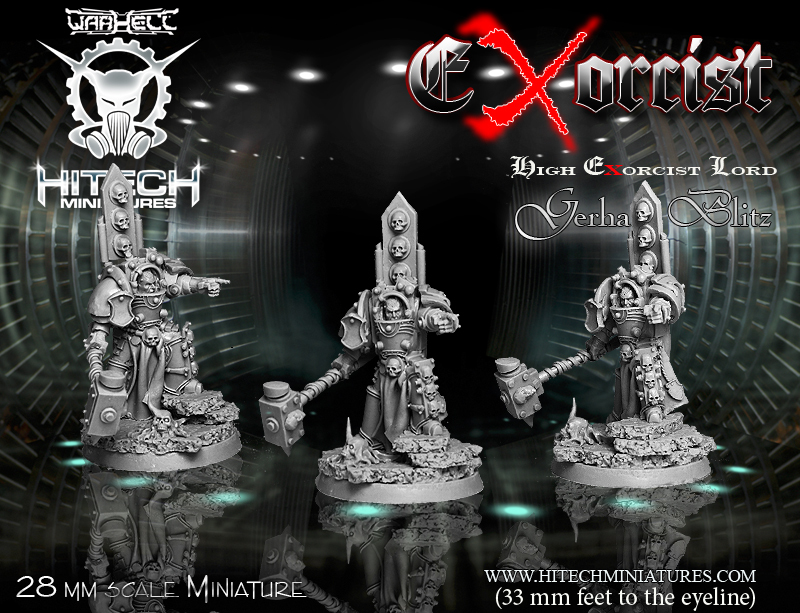 Burn In Designs has released a new preview for their upcoming Kickstarter. 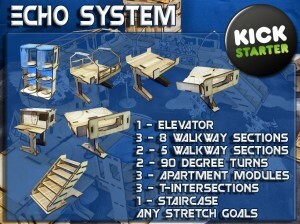 The latest preview is of the Echo System pledge level. 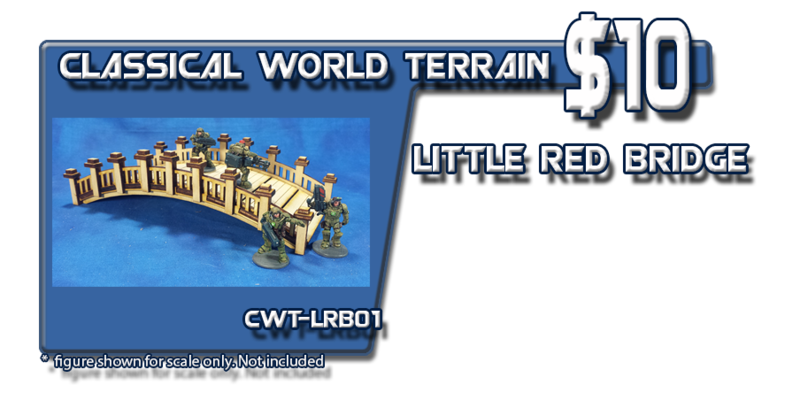 This level is designed to give the owner enough terrain to complete a 4'x4' or 4'x6' table. The full modular design allows users to customize the set to match their own gaming style. Burn In Designs sheds some light on the subject (well, not really. 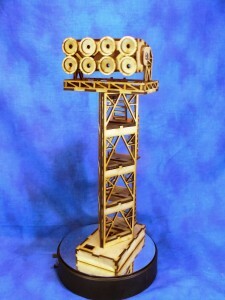 The lights, themselves, are separate) with their new Stadium Light terrain kits. They're pretty huge, actually. 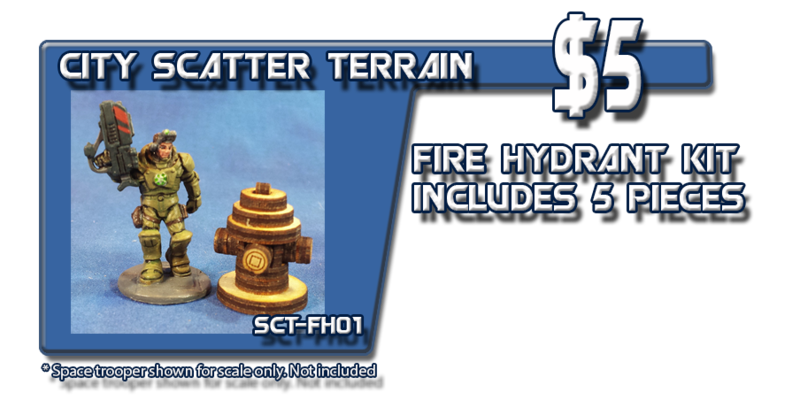 Burn In Designs is please to announce new products in our modern/scifi terrain sets. Stadium Lights Kits. These kits are designed to mimic the large stadium lights you see at sporting events. The kits stands over 14" tall giving a commanding view of the event below. The kits are designed to easily integrate with lighting sets from Powered Play.net. 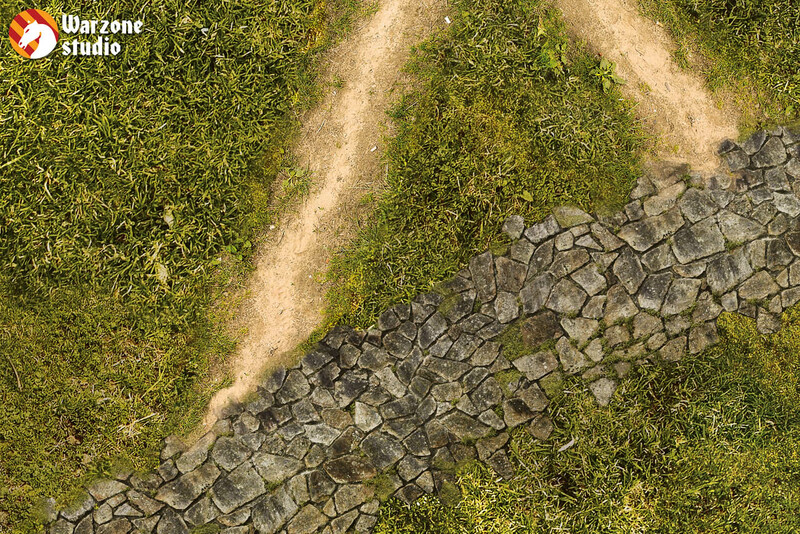 Burn In Designs has a new line of terrain they're calling the Welcome to Rock Ridge collection. 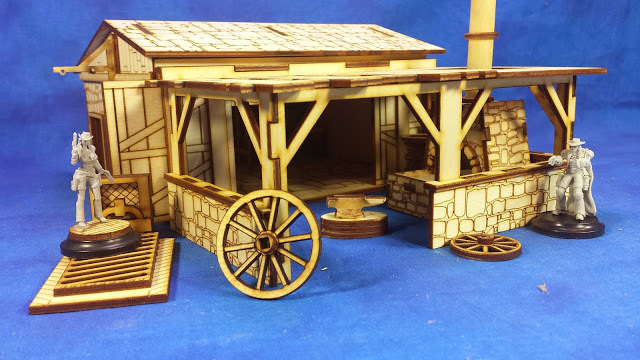 Burn In Designs is expanding their Welcome to Rock Ridge terrain set with 2 new buildings ans extras to improve the look of your gaming table. 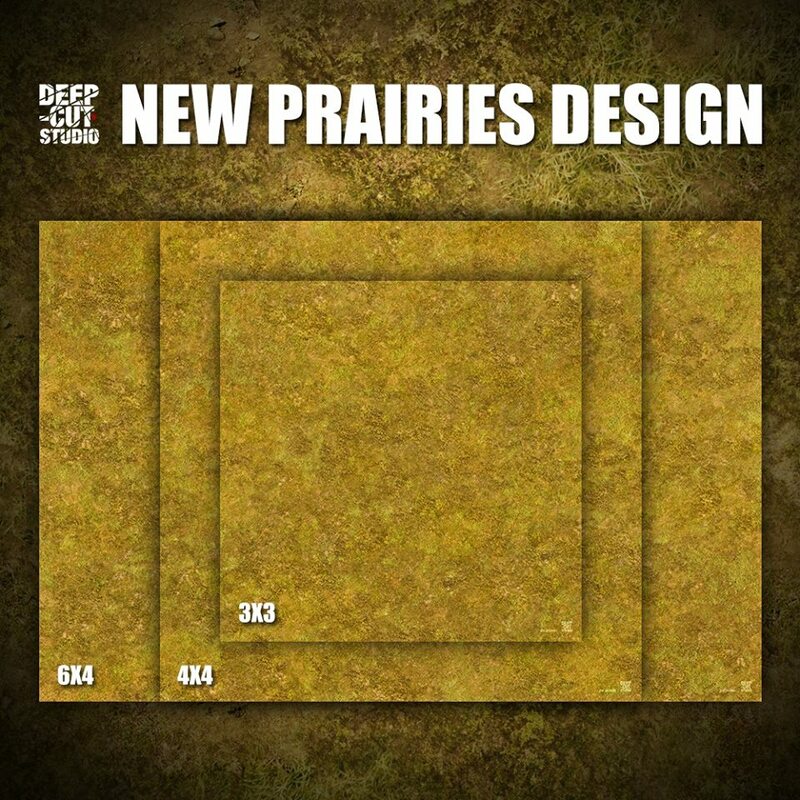 The new sets are larger and extend on the added detail included in the previous set and are a perfect companion for games like Deadlands and Wild West Exodus.